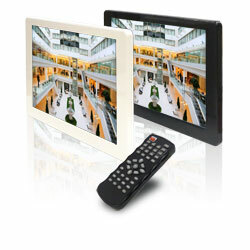 SQP133 is a dynamic digital signage with a 13.3-inch monitor, designed to display slideshows made of images and videos. The device is available in black or white color. 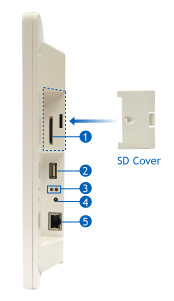 WiFi USB Adapter The WiFi USB Adapter is designed to connect the digital signage device to the wireless network. This product complies with IEEE 802.11 b/g/n (Draft 3.0) standards for wireless networking. Internal GV-USB Dongle for CMS Lite and CMS Server The USB dongle can provide the Hardware Watchdog function to the system by restarting the computer when Windows crashes. You need to connect the dongle internally on the motherboard. SD Card (4 GB, Class 4) The SD Card is used for local storage and firmware upgrade.